Billie Eilish takes out a second week at the top of the Official Albums Chart with When We All Fall Asleep, Where Do We Go? 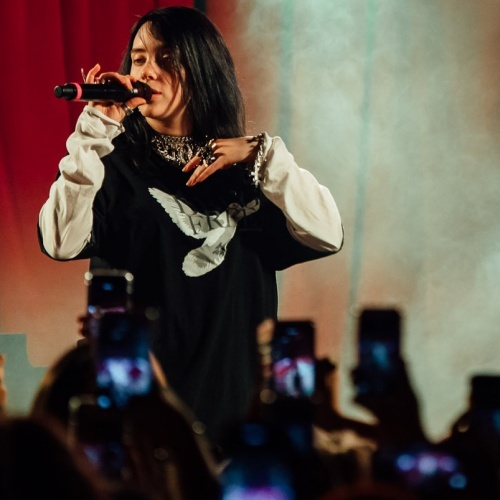 Last week Billie broke a UK chart record by becoming the youngest ever female artist to have a Number 1 album, beating previous record-holder Joss Stone by two months. The US star also claimed biggest one-week streams for a debut album in UK chart history. This week’s highest new entry at Number 2 is Khalid with Free Spirit. The American singer-songwriter’s second full-length album is his highest charting one yet, following last year’s Top 20 EP Suncity. Mike + The Mechanics’ latest release Out Of The Blue debuts at Number 7, becoming the rock supergroup’s fifth Top 10 album and claiming the highest physical sales of the week. Circa Waves’ third album What’s It Like Over There? impacts at Number 10 earning them a second Top 10 album. Elsewhere in the chart, Edinburgh rock band Idlewild pick up their sixth Top 40 album as Interview Music debuts at Number 22, J Hus’ debut album Common Sense returns to the chart after his surprise appearance onstage with Drake at the O2 Arena on April 5, climbing 71 places to Number 23. Finally, K-Pop group Blackpink round off the Top 40 with their latest EP Kill This Love (40). It’s the South Korean band’s first collection to reach the UK album chart, and only the fourth K-pop album to reach the Top 40, with boyband BTS landing the first three.